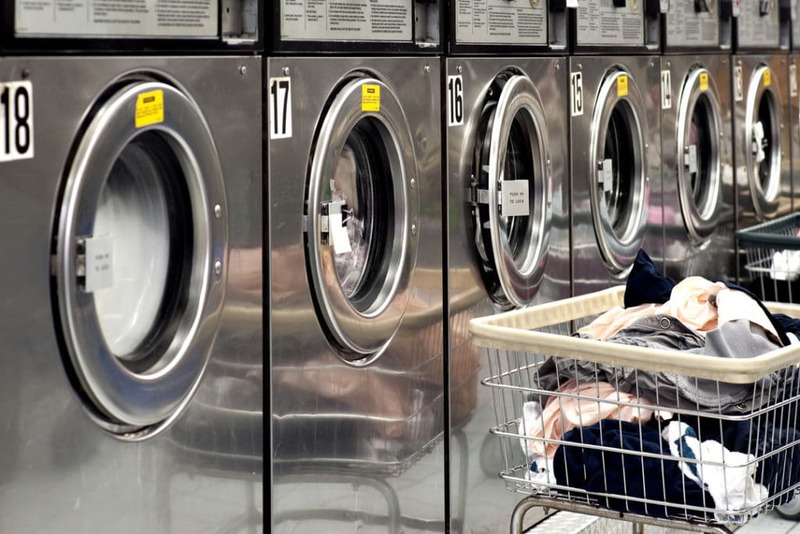 Wastewater from industrial laundries contains an alarming amount of microplastics. Norlex’ CSS technology can remove up to 99 % of it. Industrial laundries emit tons of wastewater every day – emissions that are full of microplastic from textiles. Microplastic is a potential global threat to our environment and human health, but it is possible to purify 99 % from wastewater discharges. One option is Norlex’ CSS technology which is used by industrial laundries in Sweden for wastewater treatment – originally designed for removal of heavy metals but will also take care of the microplastic. We have all seen photos of these giant plastic islands floating remote places in the Southwest Pacific. UN estimates that more than 8 million tons of plastic end up in the oceans every year. The plastic float around for decades due to a slow rate of degradation, birds and other marine animals swallows it, dies by suffocation, or gets caught up in middle of it. Microplastic is a less visible problem. However, recent research finds, that it is not less damaging. It is tiny pieces of plastic defined as smaller than 5 micron and not visible to the naked eye. The microplastic around us generates from different sources where cosmetic products (toothpaste, cremes, etc. ), car tires, and washing machines are among the biggest. We do not know the specific health effect of microplastic. But we do know, that many toxins and heavy metals bind to microplastic. In particular, the so-called POPs (persistent organic pollutants) and other hydrophobic pollutants attaches to the surface of the small nanoparticles. Also, microplastic is challenging to break down. At the same time, it is ingested by plankton, crustaceans and other small marine organisms and thereby becomes a part of the human food chain. This fact will affect the ecosystem in the oceans, lakes and rivers, and might under certain conditions change the fish reproduction negative. Industrial laundries are a considerable source of the harmful particles because they produce wastewater with tons of microplastic daily. The microplastic originates from thousands of industrial floor mats and towels (from offices, stores, airports, service stations, printing companies, garage owners, etc. ), uniforms worn by different personnel, hospital employees, and other items washed every day. It is necessary to focus on textile fibres because they are amongst the smallest forms of microplastic and measures down to less than 10 micrometres (equivalent to 0,01 mm.) which makes it difficult to remove all harmful particles and set high requirements for the wastewater treatment plant. A scientific research from 2017 concludes: “Microplastic promote persistence of typical indicators of microbial anthropogenic pollution in natural waters and substantiate that their removal from treated wastewater should be prioritized. One efficient solution is Norlex CSS (Continuous inclined Separation System) technology, which is second to none according to chemical treatment with coagulants and flocculants combined with belt filtration and efficient sludge treatment. It is ideal for active removal of heavy metals, particulate matter, and oils – e.g., it can remove up to 99 % of all microplastic particles. The process is robust, easy to use and economical. The system is in operation worldwide within a variety of industries: Biomass fuelled power plants, oily water treatment, metal processing industry, aquaculture, etc. The technology is future-proof as it removes all harmful particles and complies with the more strict requirements in Denmark, the EU and at international level. Norlex has delivered 5 large plants for industrial laundries in Sweden. As described above, this is a significant industry and its wastewater contains sand and grit, lint, free and emulsified oil and grease, heavy metals and non-volatile organic compounds (NVOC’s). Norlex’ CSS technology can remove all these particles. Feel free to contact me for a customized solution for your industry or your specific needs.